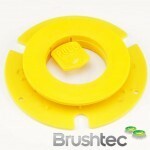 Browse the range of brush pad retaining clips available from Brushtec today. 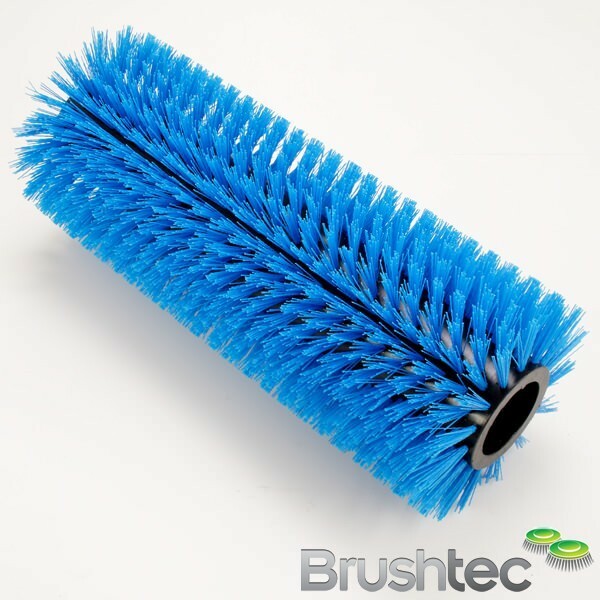 The range is designed to work with a variety of brush pads across a range of floor cleaning and polishing machines.This two-piece assembly is made of a soft, high impact polymer for extra strength and longevity. 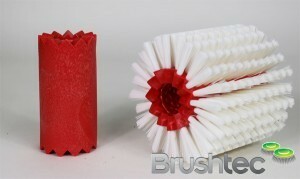 The clip attaches quickly to all the different pads and holds the pad centrally and secure. 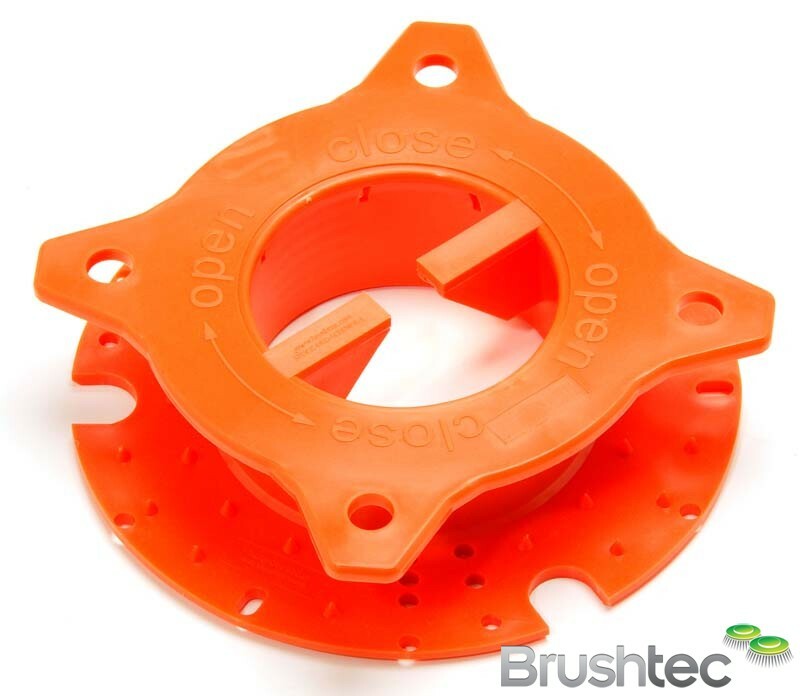 The pad retaining clips work with both clockwise and anti-clockwise rotational drive cleaning machines, and the large centre hole allows unrestricted water access to the cleaning pad.Please contact us if you’d like to speak to an expert about anything in our pad retaining clip range. 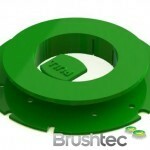 Alternatively, you may also be interested in our flex drive pad holders and contractor pad holders. 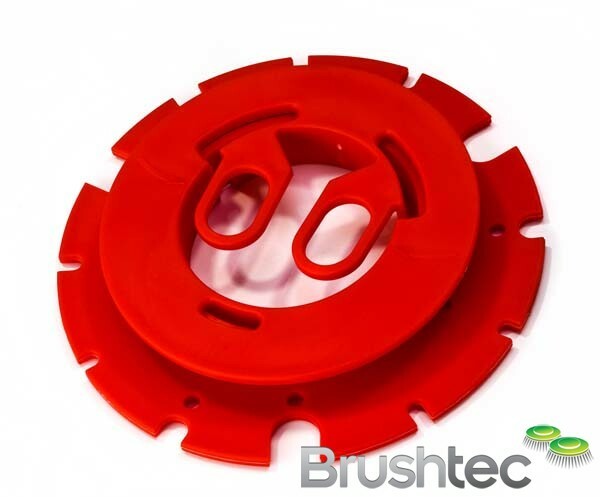 Recommended for use on high & ultra high speed machines. 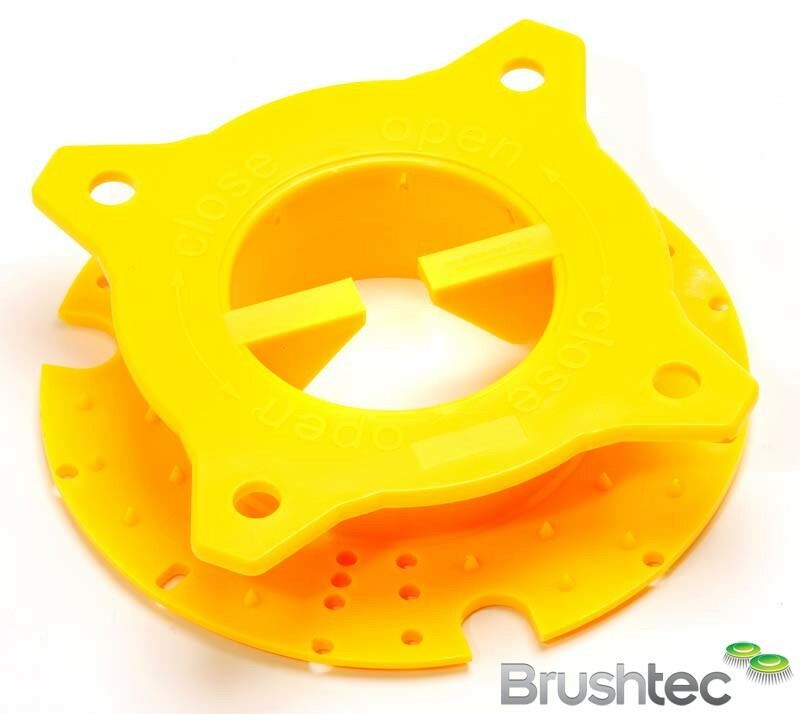 The large centre hole of the screw on centring devices allow solution flow on centre feed floor machines. 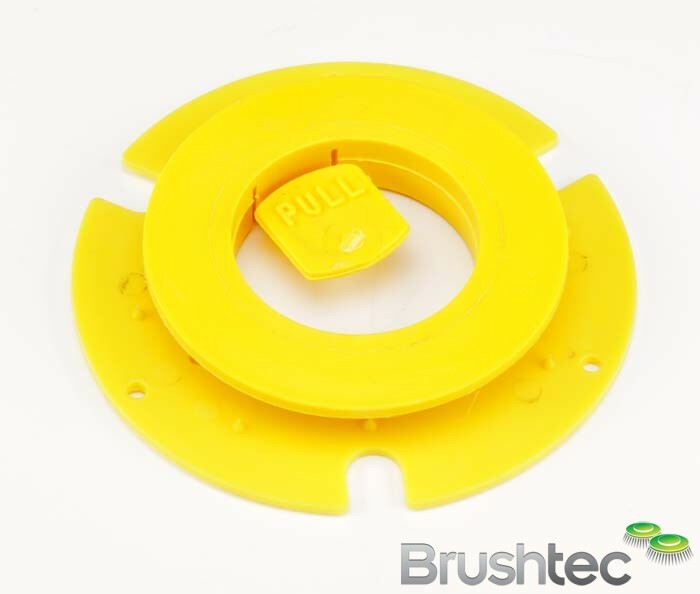 The gripping tags in the centre hole allow the device to be easily screwed on and off when changing pads. 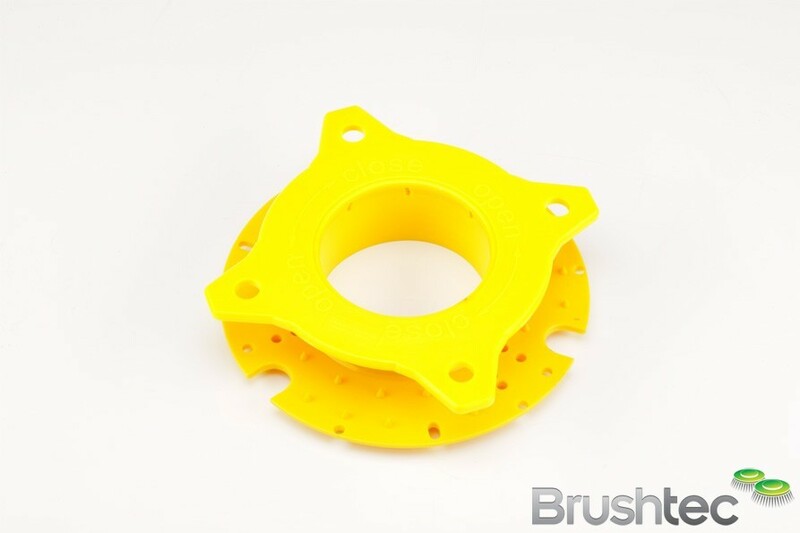 Optional, plastic, low friction washer ring, allows better removal and attachment. 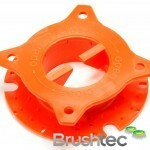 Centre hole allows machine support wheel to be located in centre of pad holder. 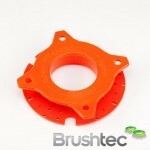 Large centre hole to allow unrestricted central fluid feed. 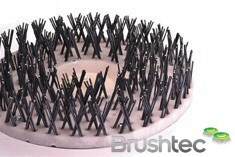 Small spikes on base provide extra hold of all floor pads. 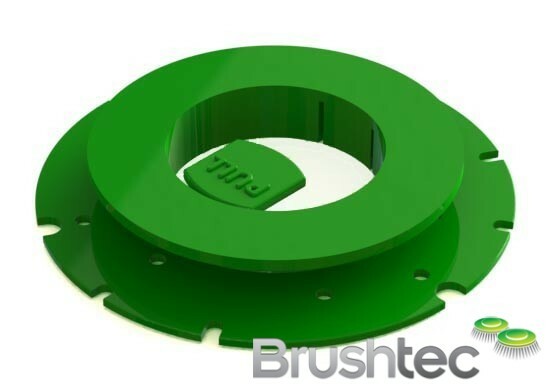 Four wings incorporated around the annular centre collar, hold high speed pads very secure. 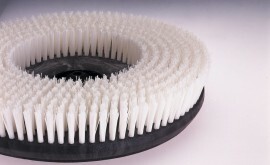 Screw on centring device – with and without centre gripping handle. 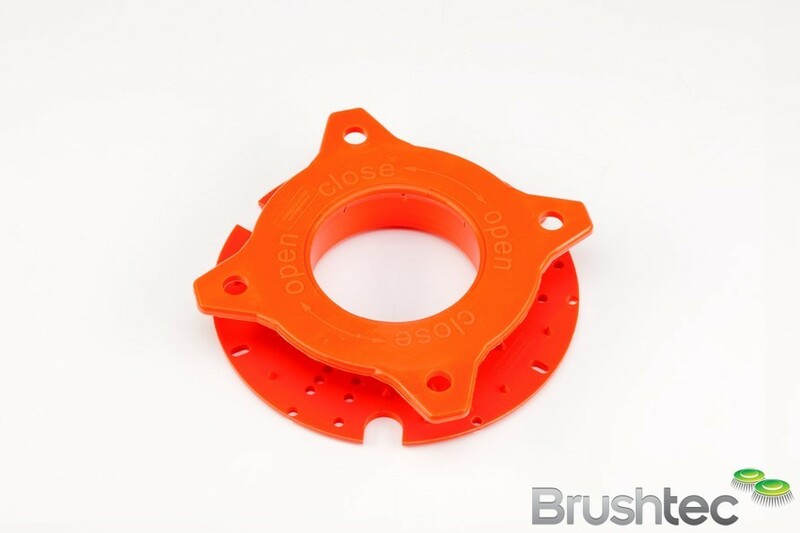 Deep 1 1/2″ long thread, for easy location on ultra high speed pad holders. 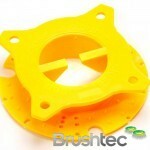 Yellow = right hand thread, (propane & electric machines). Orange = left hand thread, (Electric machines). 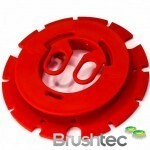 Made from a tough high impact resistant nylon alloy for high speed use. 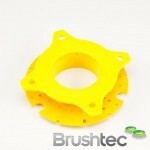 Base incorporates many fixing holes at varying diameters.